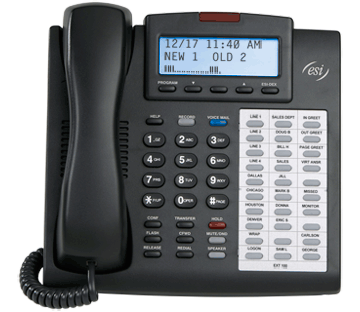 ESI business telephone systems bring innovation to your work environment with essential business features standard on each phone. Today’s businesses demand the best communications tools. ESI Communications Servers come with everything you need. 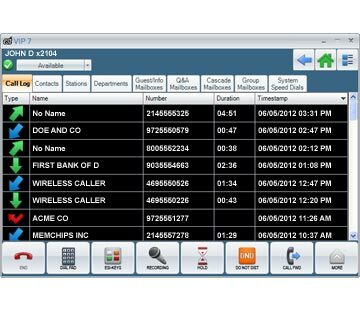 Built-in features include flexible IP/digital architecture, high-quality voice mail, live call recording, auto attendant, automated call distribution, advanced Caller ID, and the exclusive Esi-Dex™ speed-dialer. Advanced technology that’s built in. Your business deserves an ESI Communications Server. The ESI Communications Server architecture can be as IP-based, digital-based, or combined (IP- and digital-based) as you need. IP-based capabilities include local/remote phones and Esi-Link™ multisite interconnectivity via broadband, for enhanced inter-office communications. To ensure the best audio quality, particularly for IP users, each ESI Communications Server employs all applicable industry standards. An ESI Communications Server delivers the quality and reliability you expect. 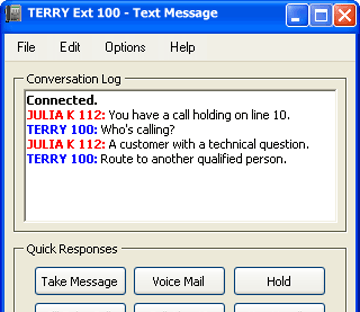 Thousands of businesses depend on ESI systems to handle their essential communications daily. Easily and inexpensively add lines (including high capacity trunks), phones, and special options when you need them. No other system delivers the advanced features and high reliability of an ESI system; yet, there’s an ESI Communications Server sized and priced just right for your business.